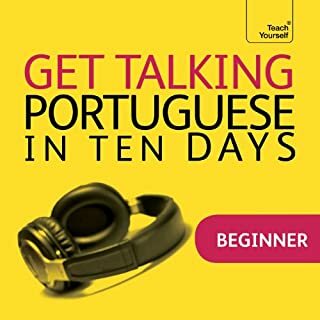 We will have you speaking Portuguese in no time! 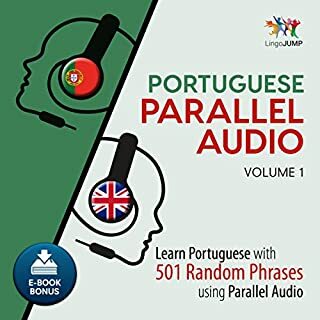 Lingo Jump's parallel audio language learning system makes it easy to learn languages at your leisure. Whether you're relaxing or on the go, our simple, clear, and fun audio lessons help you learn through imitation of our speakers. 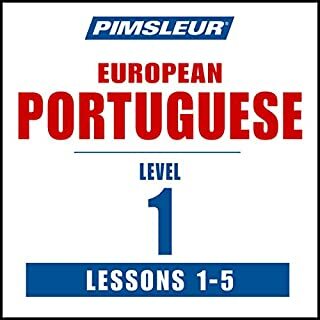 Would you consider the audio edition of Rapid Portuguese (European): Volumes 1 & 2 to be better than the print version? I don't think there is a print version. 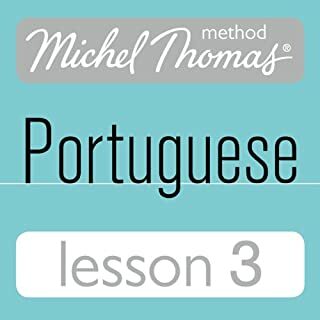 This is a really palatable introduction to Portuguese, for those people who are prepared to listen to it every day. I listened while I did housework or gardening, and was amazed how much I picked up. What about Marlon Lodge’s performance did you like? The 2 performers have pleasant voices that are easy to listen to again and again, which is crucial, because that is how this method works. They seem to have a good rapport with each other, and the conversation sounds natural even though it is clearly scripted. The music that accompanies the text is very helpful. Sometimes the words are repeated to the rhythm of the music, and that helps you to remember. Not applicable. It isn't meant to listen to in one sitting. 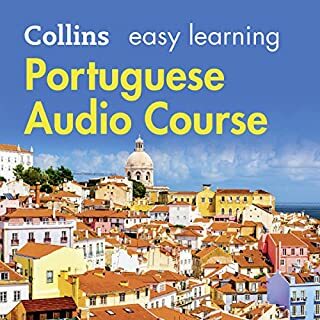 I've tried several Portuguese audio courses, and this is by far the best. Easy to listen to and easy to pick up, and you can get a transcript online for those who like to know how words look as well as sound. When I went to Portugal 8 months after starting to listen to this course, I was amazed at how much I had picked up. I didn't expect to be able to speak, but I understood loads, which was great. I wish there were further levels in this course. 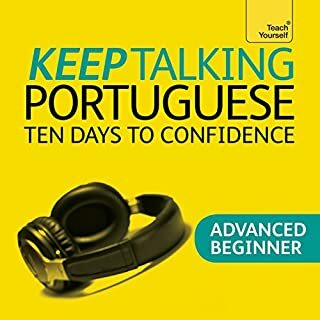 this is a joy to listen to, an easy way to learn. 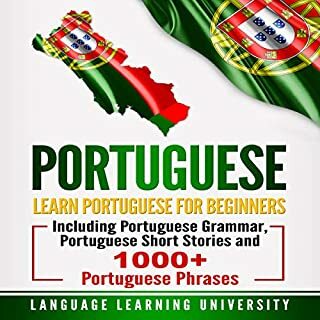 I went to Portugal and yes I understood and could speak the simple sentences. You get a good understanding of the pronunciation. 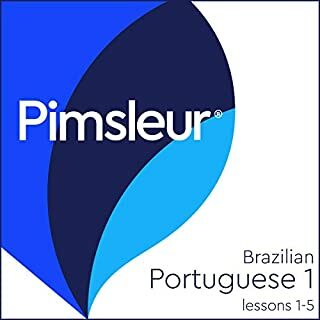 interesting way of memorizing It is great for absolute beginners. But I expected more content though from 2 h.
I am not really sure technically how good it is to learn like this but I enjoyed it and had fun learning the basics like this. ..
Amazing how much I learned Judy by listening and repeating. The repetition of the words and phrases helps to embed into the memory. You'll learn a lot quickly ! 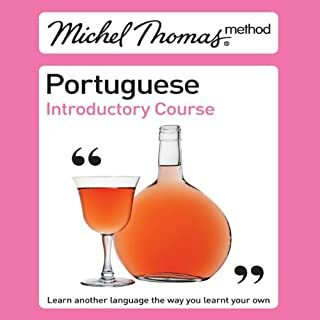 I've tried in the past, with limited success, to learn French and Spanish. This time it was to be Portuguese, so I tried a new method. I had heard some Michel Thomas french lessons before and i liked the method, but tended to lose interest or concentration. 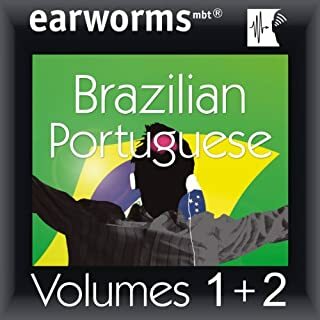 The earworms method keeps your attention really well and you begin learning and putting things together really quickly. The couple who present the course have good and seemingly natural rapport with each other. Could only be made better by having another couple of volumes, covering the same difficulty range, but with different examples. the way the words are repeated really helps to work out how to say the words. this is a great introduction to portuguese. 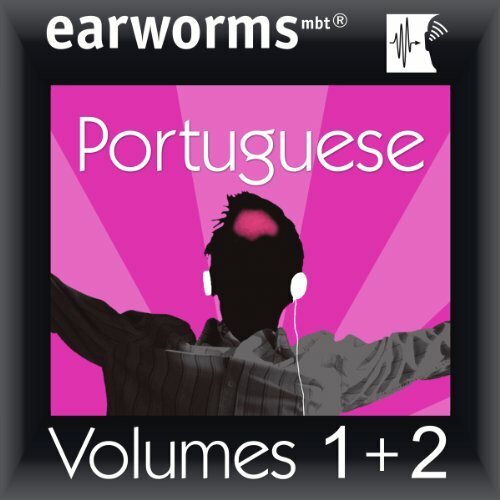 Would you listen to Rapid Portuguese (European): Volumes 1 & 2 again? Why? This is great! 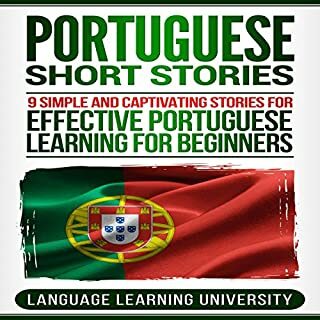 Easy to understand and I like the background music. The only thing is--are there more than 1&2? I can't find a 3 or 4 and I'd really like to continue with these! The pronunciation on a few words was (slightly) off, but it's such a great way to learn! I love the music in the background - it seemed to really enhance my learning. If there were more levels, I'd definitely buy them.